Caregiving is hard enough without the added guilt that often comes with all the responsibilities. But often, the guilt that we feel isn’t deserved. We tend to hold ourselves to unreasonable standards like being able to do everything without help, having a solution for every problem, always making the “right” decision, never getting upset or frustrated, and more. None of that is realistic, but yet, we criticize ourselves when we inevitably fall short of the inhuman expectations. We explain what causes caregivers to feel guilty, why it’s so destructive to health, and share 7 ways for dealing with caregiver guilt that improve your health and well-being. What causes caregivers to feel guilty? As a caregiver, it might seem like there’s nothing you don’t feel guilty about. 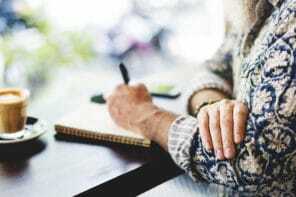 Common misconceptions about how caregivers should feel or what they should do and the guilt that comes from not living up to those unreasonable standards can really hurt you. These beliefs can push you to take on unrealistic responsibilities, avoid getting the help you need and deserve, and be too hard on yourself. All these things add to your stress, worsen health, and can lead to poor lifestyle choices. Finding ways of dealing with caregiver guilt in positive ways helps you make choices that improve your health. The first step in solving a problem is to admit that it exists. When you suppress a feeling, it only becomes more intense. Identify when you’re feeling guilty and acknowledge the thoughts and emotions. That can help reduce the feeling and let it pass. Having unrealistic expectations causes unnecessary guilt. When you think “I should be able to take care of everything without feeling resentful or exhausted,” check that against reality. Would you really expect that all other caregivers should be able to do that and keep it up forever? No, of course not. It’s unrealistic and not something you should expect of yourself. Or, if you think “I should never move my older adult to assisted living or nursing care, no matter what,” think about the reality of the situation. There are so many situations where keeping someone at home is unrealistic and could cause serious harm to the older adult or the caregiver. If a friend had told you about a situation like that, you would agree that a move is the best solution for everyone’s health and safety. Based on what you might see or hear about other caregivers, it could seem like they’re doing a better job. You might think they’re better at coping with stress, hands-on care, working with family, or finding resources. The truth is that you only know about a small part of their lives. It’s not realistic or fair to compare what little you know about their situation against your everyday caregiving reality. Most likely, they’re struggling just as much as you are – or more. In this situation, it’s helpful to be honest with yourself about how realistic your expectations are. Nobody can do everything by themselves and there is no such thing as a perfect caregiver. Set yourself up for success by setting achievable goals, getting help with caregiving, and taking time to care for yourself. That’s what keeps you going in the long run. Feelings of guilt can also be softened with positive self-care techniques. Writing in a journal, scheduling regular breaks, and using quick and simple relaxation techniques can make a big difference in how you feel. It’s impossible to do everything that theoretically “should” be done. This is the real world and there are always trade-offs that have to be made. A caregiver support group is great place to meet people who are in situations similar to yours. They’ll understand how you’re feeling and are likely to have their own stories of caregiver guilt. Hearing from others helps you see that you’re not alone in feeling like this – and that you’re probably not being fair to yourself. Guilt makes us think of all the ways we’ve failed to meet our too-high standards. And we forget to think about all the wonderful things that you have done for your older adult. 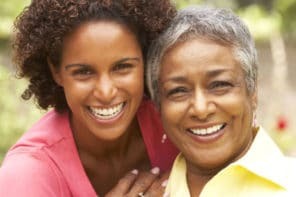 Recognizing and appreciating your caregiving accomplishments is essential. It reduces stress, boosts mood, and increases self-respect and confidence.